Retro-futurism. Modern architecture and product design. Star Trek. These are the images invoked by the bold, geometric and oft-used Microgramma and Eurostile - a pair of typefaces co-created by Italian designer Aldo Novarese during the mid-20th century. Novarese, while working at the Nebilolo foundry in Turin, designed Microgramma in 1952, along with Alessandro Butti. An uppercase-only, sans-serif font, Microgramma employed clean, rectangular letterforms capped-off with rounded corners for a distinctive display font look, which mirrored and predicted much of what was to be considered modern and forward-looking over the next several decades. 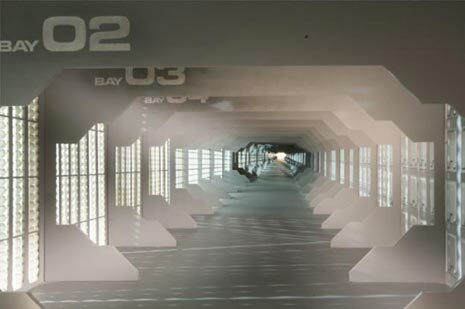 As such, Microgramma has since been used in numerous science-fiction shows and films including 2001: A Space Odyssey; Star Trek; The Andromeda Strain; and The Incredibles. A full decade later, Novarese refined his earlier work - simplifying junctures, adding the slightest bit more flow and size to curves - and added a lowercase setting (Microgramma has since been expanded to include lowercase as well as several variant forms). This new typeface, Eurostile, has gone on to add some 16 font variations and has been similarly utilised in future-centric entertainment, as well as for logos by several large technology companies such as Toshiba, Nokia and CASIO, and was also used for the limited Journey series of Canadian note-based currency from 2001-2006. Despite the tweaks made in 1962, identifying the differences between the two typefaces, especially in smaller print, can be a challenge for even seasoned typophiles. 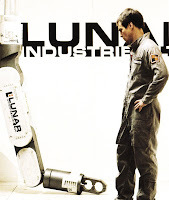 Possibly the most visible and consummate use of Microgramma/Eurostile (or as the film’s graphic designer, Gavin Rothery, called the variation, Microstyle) was in the 2009 Duncan Jones movie Moon (which, incidentally, you should all see if you haven’t already done so). 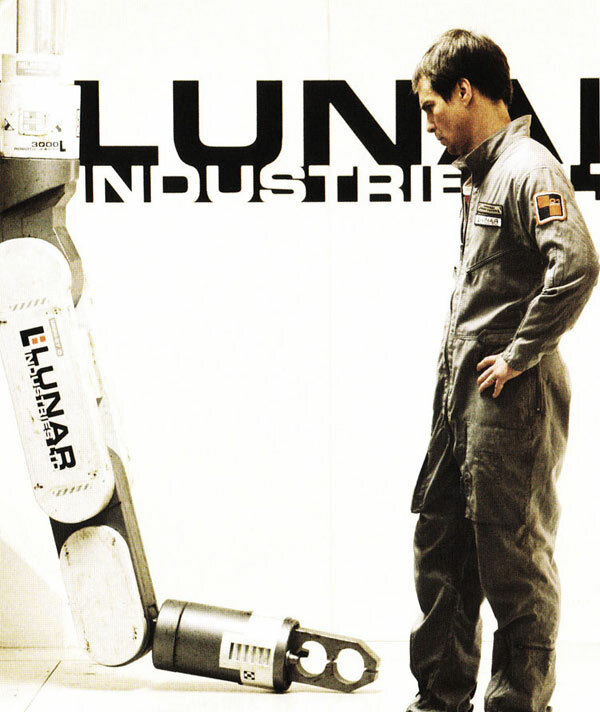 Produced with a micro-budget (when compared to most contemporary sci-fi flicks) of US$5 million, Moon used minimal set and graphic designs as well as live models instead of CGI in a deliberate attempt to harken back to the golden age of 60s and 70s futurist cinema. Microstyle turned out to be the ideal typographic shorthand for this era and provided a near-perfect marriage with the rest of the film’s aesthetics. 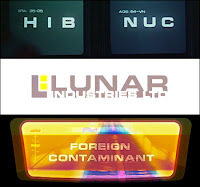 Although Eurostile was previously used in other SF films and games as the font of choice for UI (User Interface), Moon proudly displayed its variant as seemingly the only typeface left in the future. 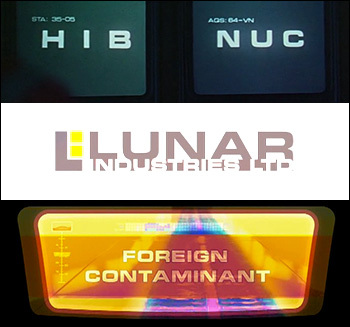 Clothing/uniforms, UI, and the film’s extensive use of signage were all rendered in the familiar and retro-futuristic letterforms created almost 60 years earlier. As a fan of sans-serif I can’t help but keep returning to Eurostile. Despite knowing that its extensive use and immediate associations with a fairly specific style and period make it somewhat cliche, its straight lines, horizontal/vertical terminals, and dash of unique character still make it a fun and worthwhile alternative. Interesting, not being a fan of sic-fi I was unaware of the links.